An excellent way to carry art with you. This piece features one of the most iconic art nouveau images of all. 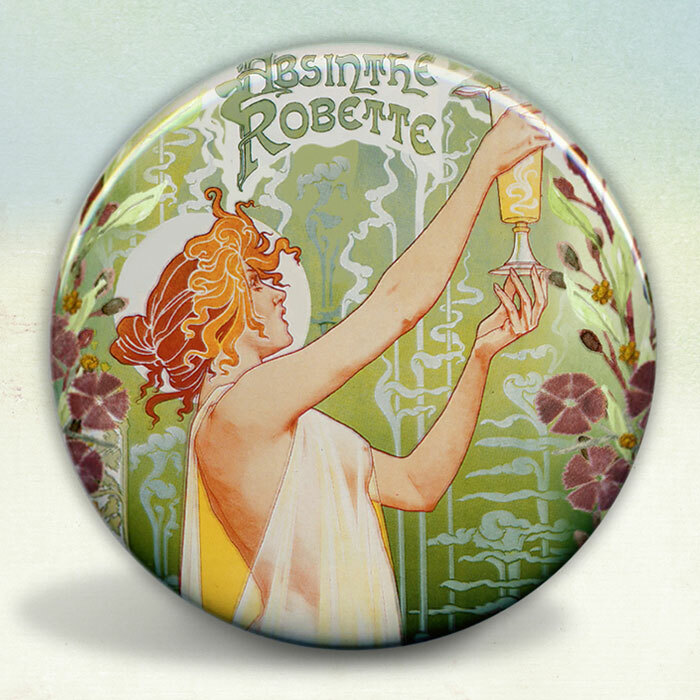 The Absinthe Robette by Belgian posterist Privat-Livermount from 1896. It is a stunning piece of art which I have subtlety collaged and revamped.